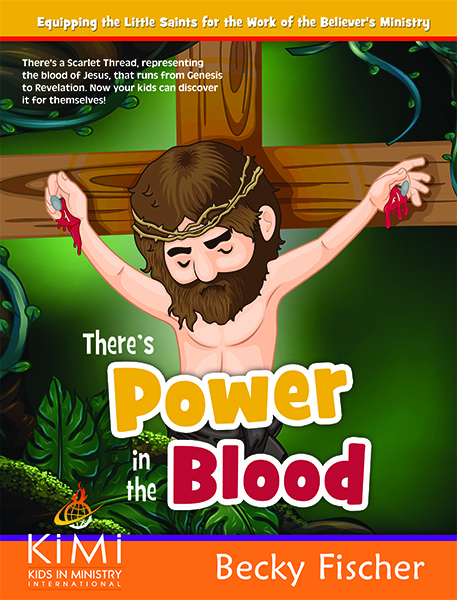 Kids must be taught to Worship the King at young ages. So simple! 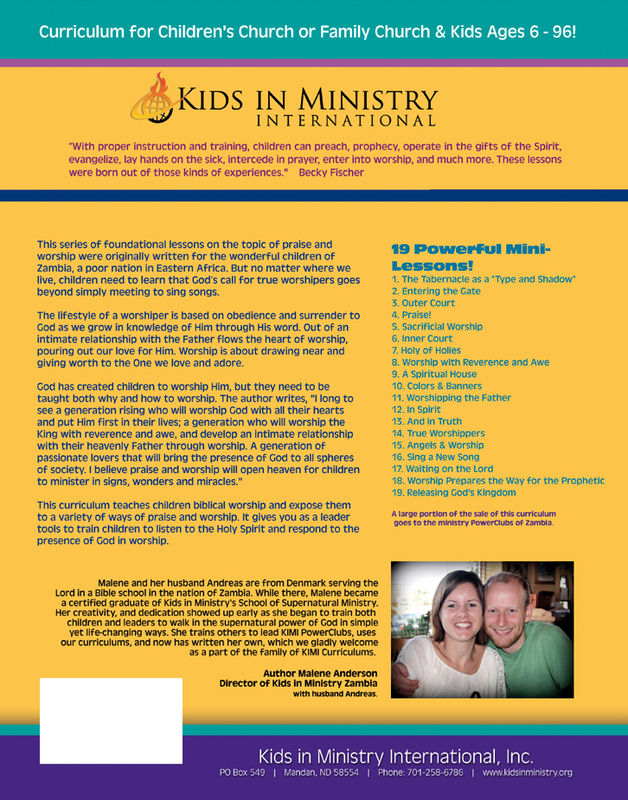 Kids in Ministry Products KIMI Curriculum 9. Worship the King! This series of foundational lessons on the topic of praise and worship were originally written for the wonderful children of Zambia, a poor nation in Eastern Africa. But no matter where we live, children need to learn that God’s call for true worshipers goes beyond simply meeting to sing songs. The lifestyle of a worshiper is based on obedience and surrender to God as we grow in knowledge of Him through His word. Out of an intimate relationship with the Father flows the heart of worship, pouring out our love for Him. Worship is about drawing near and giving worth to the One we love and adore. 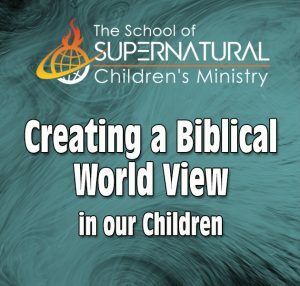 God has created children to worship Him, but they need to be taught both why and how to worship. Malene and her husband Andreas are from Denmark serving the Lord in a Bible school in the nation of Zambia. While there, Malene became a certified graduate of Kids in Ministry’s School of Supernatural Ministry. 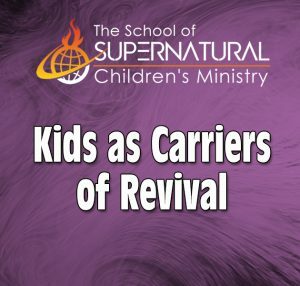 Her creativity, and dedication showed up early as she began to train both children and leaders to walk in the supernatural power of God, in simple, yet life-changing ways. 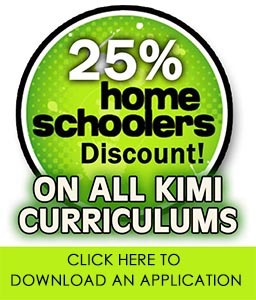 She trains others to lead KIMI PowerClubs, uses our curriculums, and now has written her own, which we gladly welcome as a part of the family of KIMI curriculums. Be the first to review “9. Worship the King!” Click here to cancel reply.